It is natural that most fighters are going to believe that they deserved to win a fight that was indeed fairly competitive. A fighter who has just battled 12 rounds against a well-matched opponent is in no position to offer a solid analysis of his performance. So I don’t really have a problem with Danny Garcia claiming he should have won against Keith Thurman last Saturday night. It is not an accurate statement, but it is not an outrageous one, either. Garcia did plenty of good work in that bout. Not nearly enough to win, of course, but enough to make the bout a competitive and entertaining battle. The rhetoric coming from Danny’s father and trainer, Angel, was outrageous. But that is par for the course for the elder Garcia. He is a proud father, and what father would not be proud of a son like Danny Garcia? Unfortunately, that pride too often manifests in classless diatribes (warning, link contains very offensive language). Pride is a double-edged sword. Without question, a prizefighter needs it in abundance, to push him through the brutality and hardships of the sport. But it ultimately serves little purpose for the trainer. It’s the trainer’s job to instill pride in his fighter. It’s also the trainer’s job to set pride aside, for the sake of analysis. A fighter’s pride might blind him to mistakes he is making. It’s the trainer’s job to see those mistakes clearly, and then motivate his fighter to correct them. Angel Garcia’s pride is clearly preventing him from properly analyzing the tactical mistakes his son made Saturday night against Thurman. He isn’t seeing a fighter he needs to improve–instead, he is seeing a son who he needs to defend. That’s a big problem. Garcia showed unmistakable talent in the ring against Thurman. He landed some nice counter punches in spots and showcased good defensive head movement. He has the tools of a top, world-class fighter. But at the level of ring generalship, he lost, and lost clearly. 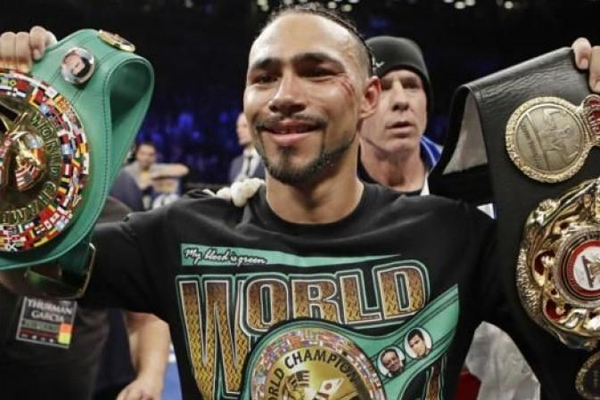 Thurman controlled the pace and terrain of the fight all night long. He used the entire ring to his advantage and chose where and when to attack and exchange. Garcia was completely unable to cut off the ring and force his own offense. It is simply not credible to argue that Garcia “was forcing the fight” when he threw far fewer punches that Thurman. He was trying to force the fight, but was unable to do so. To be sure, this was not a perfect fight by Thurman. He did not land with Floyd Mayweather-like accuracy. A trainer willing to make an honest assessment of what went wrong might be able to institute some adjustments that would allow Garcia to prevail in a rematch. But to be able to do that, Angel Garcia would need to humble himself and accept that his son lost clearly on Saturday night.